The Election Commission of India prohibits public meetings during the period of forty eight hours ending with hour fixed for conclusion of poll. Chennai: Curtains to the electrifying campaign will come down 48 hours before the poll day on April 18. “The Election Commission of India prohibits public meetings during the period of forty eight hours ending with hour fixed for conclusion of poll. It prohibits election campaign activities through public meetings, processions and displaying of election matter by means of television and similar apparatus and the purpose is to provide a period of tranquil (silence period) for the electors before the poll day,” Chief Electoral Officer Satyabrata Sahoo has said. 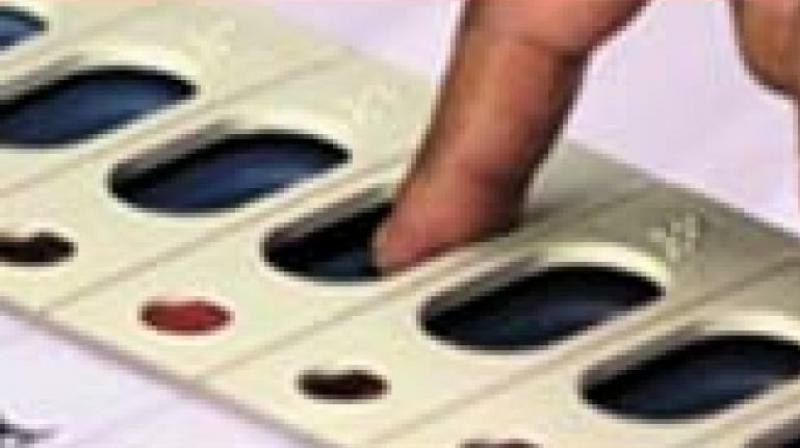 Tamil Nadu would go to polls during the second phase on April 18. During the silence period, star campaigners and other political leader should refrain from addressing the media by way of press conferences and giving interviews on election matters. All registered Political parties having their headquarters in Tamil Nadu should submit their applications for certification of any advertisement on Television channels / Cable Networks / Social media and on Radio not later than 3 (three) days prior to the date of commencement of the broadcast / telecast. Any other person or unregistered political parties shall submit their applications not later than 7 (seven) days prior to the broadcast / telecast. All political parties are therefore informed to furnish the requisition for media certification before silence period i.e. before 5 pm on April 13, 2019 since the political advertisement will be telecasted / broadcasted up to April 16, the release said.